Hydrocarbons emitted by waggle-dancing honey bees are known to reactivate experienced foragers to visit known food sources. This study investigates whether these hydrocarbons also increase waggle-dance recruitment by observing recruitment and dancing behavior when the dance compounds are introduced into the hive. If the hydrocarbons emitted by waggle-dancing bees affect the recruitment of foragers to a food source, then the number of recruits arriving at a food source should be greater after introduction of dance compounds versus a pure-solvent control. This prediction was supported by the results of experiments in which recruits were captured at a feeder following introduction of dance-compounds into a hive. This study also tested two nonexclusive behavioral mechanism(s) by which the compounds might stimulate recruitment; 1) increased recruitment could occur by means of increasing the recruitment effectiveness of each dance and/or 2) increased recruitment could occur by increasing the intensity of waggle-dancing. These hypotheses were tested by examining video records of the dancing and recruitment behavior of individually marked bees following dance-compound introduction. Comparisons of numbers of dance followers and numbers of recruits per dance and waggle run showed no significant differences between dance-compound and solvent-control introduction, thus providing no support for the first hypothesis. Comparison of the number of waggle-dance bouts and the number of waggle runs revealed significantly more dancing during morning dance-compound introduction than morning solvent-control introduction, supporting the second hypothesis. These results suggest that the waggle-dance hydrocarbons play an important role in honey bee foraging recruitment by stimulating foragers to perform waggle dances following periods of inactivity. 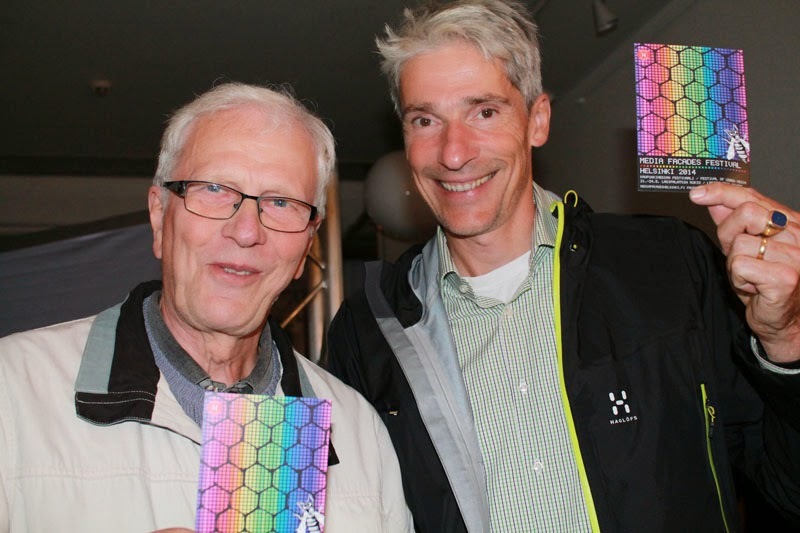 Paper prepared by Roger Schürch and Christoph Grüter. Please download attached document . 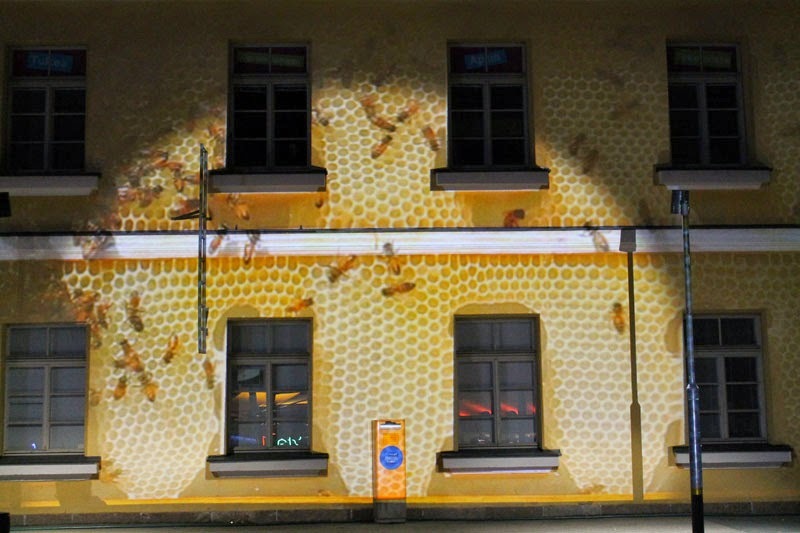 Waggle dancing bees provide nestmates with spatial information about high quality resources. Surprisingly, attempts to quantify the benefits of this encoded spatial information have failed to find positive effects on colony foraging success under many ecological circumstances. Experimental designs have often involved measuring the foraging success of colonies that were repeatedly switched between oriented dances versus disoriented dances (i.e. communicating vectors versus not communicating vectors). However, if recruited bees continue to visit profitable food sources for more than one day, this procedure would lead to confounded results because of the long-term effects of successful recruitment events. Using agent-based simulations, we found that spatial information was beneficial in almost all ecological situations. Contrary to common belief, the benefits of recruitment increased with environmental stability because benefits can accumulate over time to outweigh the short-term costs of recruitment. Furthermore, we found that in simulations mimicking previous experiments, the benefits of communication were considerably underestimated (at low food density) or not detected at all (at medium and high densities). Our results suggest that the benefits of waggle dance communication are currently underestimated and that different experimental designs, which account for potential long-term benefits, are needed to measure empirically how spatial information affects colony foraging success. En la apicultura planificar recambios periódicos y sistemáticos en todas las colonias permite contar con una mayor uniformidad del apiario y a su vez reducirla mortandad de colmenas. Una reina envejecida influye directamente en la disminución de la cosecha de miel, llegando en situaciones extremas con períodos críticos a ocasionar la pérdida de la colmena. Según estudios realizados “una empresa que no cuenta con un plan de recambio de reinas tendrá al menos un 20 % de colmenas improductivas”. Los técnicos de la Estación Experimental del INTA Cuenca del Salado indican que “para el recambio de reinas en la región es importante tener en cuenta la curva de floración de la zona y el momento del año, siendo una buena opción realizarlo hacia el final de la cosecha como parte de las tareas de preparación para la invernada”. Asimismo aseguran que “el éxito o fracaso del recambio de reinas no dependerá de un método mágico, sino de un conjunto de factores relacionados entre sí, como el estado sanitario y nutricional de las colmenas, el nivel de población y el momento de realización. Como parte del trabajo experimental que se impulsa desde el INTA Cuenca del Salado, los técnicos realizaron una evaluación de la eficiencia del recambio de reinas de mellifera l., pasado el flujo principal de néctar. El ensayo se realizó en un apiario integrante del Grupo de Apicultores Cambio Rural de la zona de General Alvear, mediante dos tratamientos: reduciendo la fortaleza de las colmenas y sin reducir el tamaño de la población, bajo un diseño completamente aleatorizado y siguiendo las pautas establecidas por el manual de Calidad Clúster Apícola de la Cuenca del Salado. Al inicio de los ensayos los técnicos realizaron un registro de cuadros de cría, cuadros cubiertos por abejas (método de los cuadrantes) y la cantidad de reinas aceptadas a los siete días. Las colmenas a las que no se les redujo la fortaleza se estandarizaron en 5 cuadros de cría y 7 de abejas, para 48 horas después introducirles las reinas fecundadas. Con el trabajo experimental los técnicos del INTA observaron que “la aceptación para ambos tratamientos fue del 100%”, por lo que con los resultados obtenidos afirman que “en la región y bajo las condiciones dadas, es factible realizar el recambio de reinas a fin de temporada sin reducir la fortaleza de la colmena”. Referentes:Daniel Poffer Técnico Apícola INTA - EEA Cuenca del Salado. | Ens, P. Promotor Asesor Cambio Rural | Caballieri, M. | Productor Grupo Cambio Rural “El Segundo” General Alvear | Lopez, G. Productor Grupo Cambio Rural “El Segundo” General Alvear | Frigoli, L INTA Cuenca del Salado- PROAPI | Figini, E. EEA-INTA Balcarce-Buenos Aires-Argentina-PROAPI. Eesti mesinduse olukorrast ja arengutest täna-homme. Based on estimates of how much cropping relies on pollination by honey bees rather than winds and flies, the State Government’s Department of Primary Industries has warned $60 million could be lost in field crops such as canola, beans and peas, and a further $22 million from the lucerne seed industry. The total losses to the State would be multiplied by five, the report warns, up to $410 million, as packing sheds and processing facilities closed with inevitable job losses. Tim Schuler, the State Apiarist for the New Jersey Department of Agriculture says "Since 2007, when 'colony collapse disorder' (CCD) became widespread, we've seen the number of members in the New Jersey Beekeepers Association grow from about 450 to nearly 1,200," He has been raising bees for more than 40 years. Anthony (Tony Bees) Planakis, who will soon retire from the police force, was off-duty when he helped Larry Stone, who runs a company called Honey Bee Helper, handle a tough job at Gregory Hall Condominiums on 51st Ave. in Elmhurst. Not a good time for beekeeping sector, now is not due to the market situation or price. The great concern of beekeepers in Salamanca focuses on the health issue and the alarming decline in production. The threat to bees and apiaries presence, and increasingly expanding the "vespa velutina" virtually settled across the north of Spain, "a problem, added," as sayd by Santiago Canete, President Reina Kilama, combating varroa adds. Another, almost endemic health problem, which brings head to beekeepers because it is increasingly difficult to combat. One and a half year late, finally inaugurate the honey extraction plant in the Industrial Park of General Guemes. The event will be attended by the Secretariat of Rural Development, Ministry of Agriculture Office, Carla Campos Bilbao. The state is traditionally one of the country's largest honey producers, with abundant crops and wildflowers that provide the nectar that bees turn into honey. But the lack of rain has ravaged native plants and forced farmers to scale back crop production, leaving fewer places for honeybees to forage. The historic drought, now in its third year, is reducing supplies of California honey, raising prices for consumers and making it harder for beekeepers to earn a living. "Our honey crop is severely impacted by the drought, and it does impact our bottom line as a business," said Gene Brandi, a beekeeper in Los Banos, a farming town in California's Central Valley. USA- WHAT'S THE BUZZ ON BEE PATHOGENS? Read below for a selection of papers from PLOS Pathogens on honey bee decline in the world of pathogenesis. Honey bees at a hive entrance. Given the current issues affecting global health— the Ebola outbreak in West Africa, the battle to eradicate polio in Pakistan, and the rise of type 2 diabetes in the United States— honey bee health seems like it would be last on our list of worries. However, August 16, 2014 marks the 5th US National Honey Bee Day, an organized day to raise honey bee awareness. Honey bee health and the awareness day commemorating it seem mainly geared towards the agricultural, farming, and small-scale bee-keeping communities; however, there is more interest in honey bee health from the scientific community than you may think. The decline of honey bees is a major agricultural concern and the Agricultural Research Service (ARS), the USDA’s internal research agency, is leading several efforts to gain more information on the possible causes. The rate at which honey bee colonies are declining is alarming. According to the 2013-2014 annual survey conducted by the Bee Informed Partnership and the U.S. Department of Agriculture (USDA), total losses of managed honey bee colonies from all causes were 23.2 percent nationwide for the 2013-2014 winter. Although these losses are less than previous winters, the 2013-2014 annual survey reports that “losses still remain above the level that beekeepers consider economically sustainable.” The honey bee industry is vital to large agriculture which feeds most of the world; however National Honey Bee Day is aimed at increasing involvement from concerned citizens, most of whom are backyard gardeners and nature-loving beekeepers. Concern for honey bee colony decline involves the scientific community as well, and actually has quite a home within pathogen research. The Bee Informed Partnership boasts a scientific advisory board composed of internationally recognized scientists to ensure that the partnership’s work is held up to high scientific standards. Furthermore, numerous PLOS Pathogens authors contribute to the honey bee cause, conducting research on various honey bee pathogens, including parasites, fungi, bacteria, and viruses. See below for some honey bee research snippets featured across the various sections of PLOS Pathogens. Varroa mite (Varroa destructor) is a globally distributed ectoparasite and a vector for viral pathogens of the Western honey bee. The 2012 paperBidirectional Transfer of RNAi between Honey Bee and Varroa destructor:Varroa Gene Silencing Reduces Varroa Population reports that Varroa gene expression can be modulated by RNA interference (RNAi) mediated by honey bees, which may potentially lead to a new conceptual approach to Varroacontrol. The authors fed honey bees double-stranded RNA that was then transferred cross-species, from the bee to the Varroa mite; when this was used to target and silence Varroa genes it led to substantial mite mortality. Most recently published, On the Front Line: Quantitative Virus Dynamics in Honeybee (Apis mellifera L.) Colonies along a New Expansion Front of the Parasite Varroa destructor assesses viruses found in honey bee colonies in New Zealand in light of the country’s more recent Varroa infestation. The authors use a large-scale molecular ecology approach to study de novo Varroainfestation impact on bee colonies since Varroa was found in New Zealand within the last two decades. They studied seven honey bee viruses in both bees and mites and their data reveal that the changes in the bee virus landscape correspond to the changes in Varroa infestation. This Pearls article, New Models of Microsporidiosis: Infections in Zebrafish, C. elegans, and Honey Bee, covers model hosts for microsporidia, a relatively mysterious phylum of fungal-related pathogens that are often times responsible for severe diarrhea and death in AIDS patients. Apis mellifera, more commonly known as the Western honey bee, have long been known to be carriers of the microsporidian species, Nosema apis, and more recently have been increasingly found to also carry Nosema ceranae. Delving even deeper into the microsporidian N. ceranae, Genomic Analyses of the Microsporidian Nosema ceranae, an Emergent Pathogen of Honey Beesprovides genomic analysis of Nosema ceranae, comparing it to another microsporidian, Encephalitozoon cuniculi. Their comparisons provide insight into the architecture, regulation, and evolution of microsporidian genomes, and provide the first genetic tools for understanding how N. ceranae will interact with its honey bee host. Nosema Ceranae Escapes Fumagillin Control in Honey Bees reports more closely on Nosema ceranae, the more recently discovered microsporidian first found on Asian honey bees and more recently discovered on Western honey bees. The authors compared responses of both Nosema species to fumagillin, the only antibiotic approved to combat Nosema apis-related nosema disease in honey bees, finding that N. ceranae in particular are released from the suppressive effects of fumagillin at concentrations that continue to impact honey bee physiology and that the current application protocol for fumagillin may exacerbate N. ceranae infection rather than suppress it. The bacterium Paenibacillus larvae is a Gram-positive, spore-forming bacterium that is the cause of American Foulbrood (AFB), a brood disease affecting honey bee populations world-wide. Identification and Functional Analysis of the S-Layer Protein SplA of Paenibacillus larvae, the Causative Agent of American Foulbrood of Honey Bees sheds insight on the poorly-understood mechanisms behind P. larvae. Through genomic sequencing and in vitro self-assembly studies on protein complexes, the authors reveal mechanistic insight into ERIC II, the more virulent genotype of P. larvae, furthering pathogenic information on this epizootic honey bee bacterium. Finally, viruses also play a role in honey bee CCD, and Israeli Acute Paralysis Virus (IAPV), a single-stranded RNA virus, is reported to play a putative role.Large-Scale Field Application of RNAi Technology Reducing Israeli Acute Paralysis Virus Disease in Honey Bees (Apis mellifera, Hymenoptera: Apidae) again uses RNAi technology to feed IAPV-infected honey bees a double-stranded RNA product, Remebee-I. The authors show that treatment resulted in larger colony populations and increased honey production and provide the first successful demonstration of the use of RNAi as a preventative treatment for an insect disease on such a large scale. A second virus affecting honey bees is Deformed Wing Virus. This Iflavirius is transmitted through the Varroa destructor parasite, causing developmental deformities and premature ageing in bee populations. The authors of A Virulent Strain of Deformed Wing Virus (DWV) of Honeybees (Apis mellifera) Prevails after Varroa destructor-Mediated, orIn Vitro, Transmission exposedVarroa-naïve larvae to oral andVarroa-transmitted DWV to determine whether changes in the virus population were due to the amplification of Varroaand/or suppressing host immune responses. The authors found that a single type of virulent DWV is amplified in the pupae when transmitted via the Varroa vector, in addition to detecting changes in the immune response and developmental gene expression of the bee hosts. Varroa is thought to be one of the main stressors that reduce bee fitness. As they feed on the blood of pupae and adult bees, the mites can transmit several honeybee viruses with high efficiency. Uncontrolled Varroa infestation can thereby cause an accelerating virus epidemic and so kill a bee colony within two to three years. Interested in the complex interplay between bees, mites, and viruses, Fanny Mondet, from the University of Otago, Dunedin, New Zealand, and INRA, Avignon, France, and colleagues took advantage of a unique situation in New Zealand: The country was only recently invaded by Varroa, which was first detected on the North Island in 2001, and still had an active infestation expansion front traveling southward into Varroa-free areas of the country when the study took place. The researchers' aim was to monitor the first stages of the Varroa infestation and its consequences for bees and bee viruses. As they report, the arrival of Varroa dramatically changed the viral landscape within the honeybee colonies of New Zealand. Each of seven different virus species examined in detail responded in a unique way to the arrival, establishment, and persistence of the mite. Consistent with the observations in other countries, Deformed Wing Virus (DWV) is the virus most strongly affected by the spread of Varroa throughout New Zealand. DWV, which can multiply in the mites and is thought to be a direct cause of Varroa-induced colony collapse, was almost never seen in New Zealand bee colonies before the arrival of Varroa or ahead of the expansion zone after 2001. Thereafter, DWV abundance gradually increased with Varroa infestation history, even when Varroa infestation rates declined. Another highly virulent Varroa-transmitted virus, Kashmir Bee Virus (KBV), also showed a close association with Varroa. However, in contrast to DWV, KBV abundance peaks two years after an initial Varroa infestation and subsequently disappears from the colonies entirely, leaving DWV as the dominant honeybee virus in long-term Varroa-infested areas. The researchers say that the results of their study "strengthen the idea that the multiple virus infestations in honeybees interact to create a dynamic and turbulent pathological landscape, and that the viruses play an important part in the survival or collapse of the bee colonies infested by Varroa. For example, KBV could play a key role in the dramatic honeybee colony weakening observed during the first years of Varroa infestation." 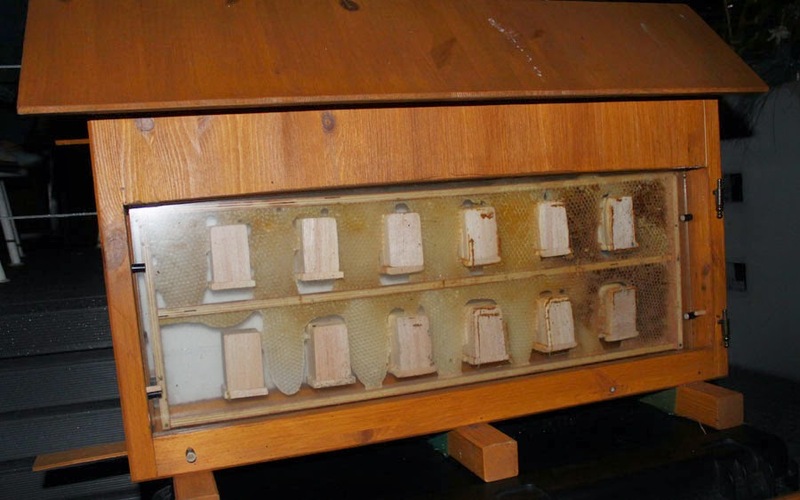 They hope that their results to date will be "useful for the beekeeping industry by highlighting the importance of beekeeper awareness, of mite monitoring, and the timing and efficiency of Varroa control." "Future work," they state, "will focus on the mechanisms that form the evolutionary basis for the bee-Varroa-virus interaction." When a colony of honeybees grows to about 4,000 members, it triggers an important first stage in its reproductive cycle: the building of a special type of comb used for rearing male reproductive, called drones. A team of experts from the Department of Neurobiology and Behaviour at Cornell University, led by Michael Smith, studied what starts the reproductive cycle of honeybee colonies. Social insect colonies, like individual organisms, must decide as they develop how to allocate optimally their resources among survival, growth, and reproduction. Only when colonies reach a certain state do they switch from investing purely in survival and growth to investing also in reproduction. But how do worker bees within a colony detect that their colony has reached the state where it is adaptive to begin investing in reproduction? Previous work has shown that larger honeybee colonies invest more in reproduction (i.e., the production of drones and queens), however, the term ‘larger’ encompasses multiple colony parameters including number of adult workers, size of the nest, amount of brood, and size of the honey stores. These colony parameters were independently increased in this study to test which one(s) would increase a colony’s investment in reproduction via males. This was assayed by measuring the construction of drone comb, the special type of comb in which drones are reared. Only an increase in the number of workers stimulated construction of drone comb. Colonies with over 4,000 workers began building drone comb, independent of the other colony parameters. These results show that attaining a critical number of workers is the key parameter for honeybee colonies to start to shift resources towards reproduction. These findings are relevant to other social systems in which a group’s members must adjust their behavior as a function of the group’s size. 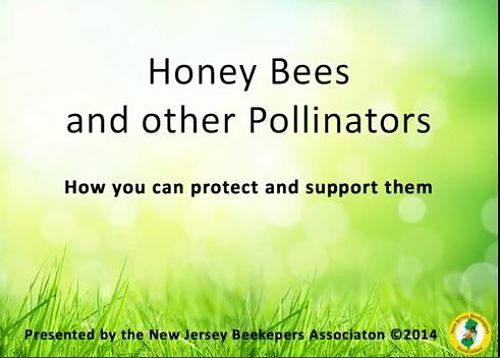 The New Jersey Beekeepers Association (NJBA) created a wonderful video, “Honey Bees and Other Pollinators – How You Can Protect and Support Them,” produced by NJBA member, Julie Jurusz, as part of a NJBA/USDA Specialty Crop Block Grant in 2012. The Video Committee was comprised of Co-Chairs Joseph Alvarez and Lorette Cheswick, Julie Jurusz (who also wrote the grant application at the behest of the late William Coniglio (a former NJBA president), and members Drew Mazdin, Steve McAuliffe and Debbie Cowell. These devoted, enterprising NJ Beekeepers oversaw the video, and contracted with native plant nurseries in New Jersey to produce thousands of late forage flowers (Seaside Goldenrod, Zig Zag Goldenrod, Butterfly Weed and New England Aster) which were given out to the public at numerous 4-H, County and the State Fairs in New Jersey with planting instructions, a brochure with links to the video, and other resources for planting for pollinators. The committee also sourced seed, and have three test plots growing in southern New Jersey (in conjunction with Stockton State College), as well as central and northern New Jersey (with Ramapo College) as part of the grant. The committee is also researching and meeting with public utility companies to learn what is being done to help pollinators with ROW (Right-of-Way) plantings, and how they can partner with them to increase habitat for pollinators. Stewardship is “the conducting, supervising, or managing of something; especially: the careful and responsible management of something entrusted to one's care,” so states Merriam-Webster.com. Stewardship of our honey bees and native pollinators is foremost for beekeepers, and the Pollinator Stewardship Council. Beekeepers are responsible for their honey bees; all of us are responsible for our native pollinators. Managed honey bees are under a beekeepers' care and management. Native pollinators are under all of our protection, and their policing is under our guidance. Farmers are conscientious about their land: monitoring, observing, steering, and guarding it for future generations. Farmers want to protect the land as good trustees, and to work with all partners in agriculture for sustainability. Beekeepers and farmers are responsible for the stewardship of the land, the food grown, and the next crop and next generation of honey bees, and the next, and so on. Beekeepers see the ecosystem through their honey bees. Honey bees tell beekeepers when stewardship is lacking, harmful, and deadly. Honey bees as managed pollinators, are an indicator species. To remove an indicator species from aspects of the ecosystem is poor stewardship. As good stewards we must be “careful and responsible,” managing the honey bees and native pollinators entrusted to our care. “The act or activity of looking after, and making decisions about” honey bees and native pollinators is charged to our supervision. 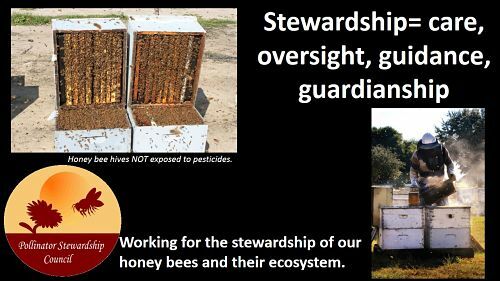 To be good stewards of the land, of the food supply, of our honey bees and pollinators, beekeepers especially know the responsibility of our guardianship. To be good stewards of our crops, honey bees and native pollinators must be healthy across the growing season, and available for all crops. Stewardship is “the duty or function of watching or guarding for the sake of proper direction or control” of the food supply, of a healthy ecosystem where honey bees have nutritious food, in order to pollinate nutritious food for all other living things. These are the obligations of a good steward. These are the obligations of beekeepers and farmers. PDF slideshow which was presented at Apimondia (World Bee Congress) in 2009 by Dr Bonmatin of CNRS France. Everything that is presented in this PDF has been confirmed by subsequent research. Presented are the findings of Dr Luc Belzunces that chronic exposure to just 0.1ng of Imidacloprid killed bees after ten days -affecting colony strength. "For the first time, analytical chemists from Spain and Germany have used a combination of capillary electrophoreses (CE) and mass spectrometry (MS) to detect neonicotinoid insecticides such as imidacloprid and acetamiprid. Their method is not only quick and sensitive, but it can also detect these insecticides in complex samples such as beeswax. For other pollinator related news stories, videos, and research, visit our website. Pitääkö hunajan torimyynnistä tehdä ilmoitus? Moni hunajantuottaja myy tuotteitaan mielellään esimerkiksi paikallisissa tapahtumissa ja markkinoilla. Alle 1 000 kiloa vuodessa hunajaa myyvän ei tarvitse tehdä myynnistä erillisiä ilmoituksia, vaan riittää, että alkutuotantoilmoitus on tehty. Jos hunajaa on aikomus myydä alle 1 000 kiloa vuodessa suoraan kuluttajalle, niin oman tuotannon hunajaa saa lingota ja pakata ilman, että toiminnasta tarvitsee tehdä elintarvikehuoneistoilmoitusta. Riittää, että alkutuotantoilmoitus on tehty. Alkutuotantoilmoituksen lisäksi hunajan myynnistä esimerkiksi torilla, tapahtumassa tai markkinoilla ei tarvitse tehdä muita ilmoituksia. Myyntipaikalla (oma kunta vai jokin muu paikkakunta) ei tällöin ole ilmoitusvelvollisuuden kannalta merkitystä. Jos myynti suoraan kuluttajille ylittää 1 000 kiloa vuodessa, on tehtävä elintarvikehuoneistoilmoitus. Sen jälkeen, kun elintarvikehuoneistoilmoitus on tehty, tuottaja voi myydä tätä hunajaa oman kunnan alueella ilman muita ilmoituksia. Jos tuottaja myy toisen kunnan alueelle hunajaa ja on tehnyt omaan kuntaan elintarvikehuoneistoilmoituksen, tuottajan täytyy tiedottaa myynnistä kyseisen myyntipaikan elintarvikeviranomaiselle viimeistään neljä päivää aiemmin. Jos myy toisen tuottajan hunaja, myynnistä on aina tehtävä elintarvikehuoneistoilmoitus. Eviran uudisti ulkomyyntiohjeensa vuonna 2012. Edelleen osalle valvojista voi olla totuttelemista muutokseen eli siihen, ettei torimyyjistä tai pienien tapahtumien elintarvikemyyjistä saa ennakkotietoa, mikäli elintarvikemyyjät kuuluvat siihen ryhmään, joiden ei tarvitse tehdä elintarvikehuoneistoilmoitusta toiminnasta. Lue lisää aiheesta nettisivuiltamme. Tutustu myös mehiläishoitajan viranomaisvelvollisuuksia käsittelevään tekstiin. Viikonloppuna voi ihailla mehiläisiä Helsingin keskustassa vanhan linja-autoaseman seinälle heijastettuna. Eilen käynnistynyt Media Facades -festivaali loi hienon Human beeing -teoksen, jossa videoprojisointi tuo näkyviin mehiläisten kennonrakennustyön. Eilen torstaina oli teoksen ensiesitys Taiteiden yön yhteydessä. Pitkin seinää kulkevat mehiläiset ja vähitellen rakentuva kennosto olivat komea näky. Teosta voi katsoa iltaisin hämärän saavuttu (pe-la klo 22-02, su 24.8. klo 21-00). Videota varten rakennettiin vanhan linja-autoaseman mallinen pienoismalli. Tähän pienoismalliin mehiläistarhaaja Heimo Varonen asetti mehiläiset. Malli tuotiin Lasipalatsin katolle, jossa Varonen ja Goethe-Instituutin johtaja Mikko Fritze hoitavat paria mehiläispesää. mehiläishoidollisen panostuksen Human beeing -teokseen. Mehiläisten työskentelyä kuvattiin päivittäin noin 20 minuuttia kolmen viikon ajan. Näistä videoista koostettiin lopullinen teos. Varosen mukaan projekti oli mielenkiintoinen. Mehiläisten kanssa toimiminen tuottaa tietysti aina pieniä yllätyksiä. "Toin pienoismallin ensin kotiini, sillä halusin nähdä, asettuvatko mehiläiset sinne. Ensimmäinen tekoparvi ei oikein rauhoittuneet: kun menin aamulla katsomaan, niin pesä oli tyhjä", Varonen kertoo. Toinen porukka sen sijaan viihtyi ja jäi rakennuspuuhiin. rakentumista ja mehiläisten touhua kuvattiin päivittäin. Videon loppuvaiheessa näkyy, miten kennostoa on jo valmiina paljon.